As easy on the wallet as it is on the eye, the 8-Point riflescope offers more high-quality features than any other in its class. All models come with fully coated optics for a brighter, higher-contrast image, and 1/4-MOA SureGrip™ audible-click windage and elevation adjustments for effortless adjustment. As easy on the wallet as it is on the eye, the 8-Point riflescope offers more high-quality features than any other in its class. All models come with fully coated optics for a brighter, higher-contrast image, and 1/4-MOA SureGrip™ audible-click windage and elevation adjustments for effortless adjustment. Select Simmons models include many premium features - like our TrueZero™ windage and elevation adjustment system that stays locked tight to zero, through even the most strenuous conditions, and the QTA™ eyepiece for easy target acquisition. 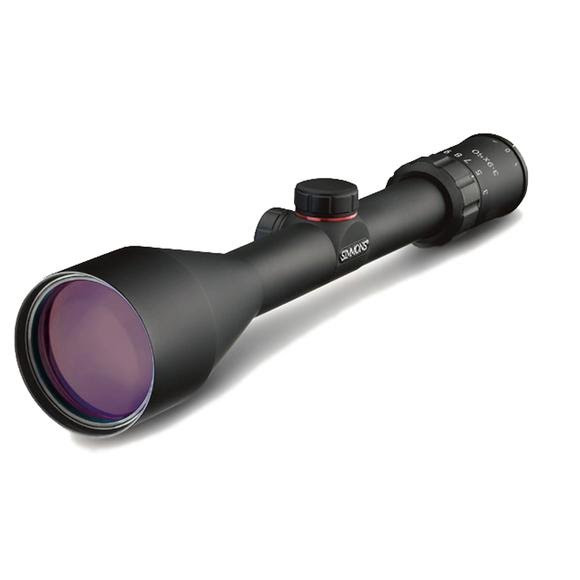 Waterproof, fogproof and recoilproof, the 8-Point delivers outstanding precision in a basic riflescope. A value that makes it as easy to mount on your rifle, as the mounts youÕll be hanging on your wall.